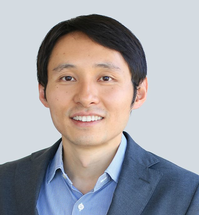 Professor Su is an expert on global innovation and sourcing strategies, and qualitative research methods. His research explores the transformation of organizations, markets, policies, and governance in the age of digitization and globalization, based on in-depth studies of private and public sectors across the Americas, Europe, the Middle East, Africa and Asia Pacific. His research has been published in top journals such as the Management Information Systems Quarterly (MISQ) and the MIT Sloan Management Review. Professor Su advises a portfolio of multinational corporations, technology startups, government agencies, and public and not-for-profit organizations. Professor Su is the recipient of Poets & Quants’ “40 Most Outstanding Business School Professors Under 40,” the inaugural Early Career Award of the Association for Information Systems, Giarratani Rising Star Award runner-up of the Industry Studies Association, Best Article Awards of the Decision Sciences Institute and IBM Global Research, and teaching awards and commendations at New York University’s Stern School of Business and Canada’s Ivey Business School. Professor Su has taught in major programs in Canada, China, Denmark, NYU Stern, and Cornell University. Su, N.; Levina, N.; Ross, J., 2016, "The Long-Tail Strategy of IT Outsourcing", MIT Sloan Management Review, 57(2): 81 - 89. Su, N.; Levina, N.; Ross, J., 2016, "La estrategia de larga cola para la externalización de las TI", Harvard Deusto Business Review, 255: 6 - 20. Su, N., 2015, "Cultural Sensemaking in Offshore Information Technology Service Suppliers: A Cultural Frame Perspective", MIS Quarterly, 39(4): 959 - 983. Su, N., 2013, "Internationalization Strategies of Chinese IT Service Suppliers", MIS Quarterly, 37(1): 175 - 200. Su, N. and Pirani, N. 2013. "Emergence of 3D Printed Fashion: Navigating the Ambiguity of Materiality Through Collective Design", Proceedings of the 34th International Conference on Information Systems, Milan, Italy. Su, N. 2011. "Emergence of Cloud Computing: An Institutional Innovation Perspective", Proceedings of the 32nd International Conference on Information Systems, Shanghai, China. Su, N.; Levina, N., 2011, "Global Multisourcing Strategy: Integrating Learning from Manufacturing into IT Service Outsourcing", IEEE Transactions on Engineering Management, 58(4): 717 - 729. Su, N.; Akkiraju, R.; Nayak, N.; Goodwin, R., 2009, "Shared Services Transformation: Conceptualization and Valuation from the Perspective of Real Options", Decision Sciences, 40(3): 381 - 402. Levina, N.; Su, N., 2008, "Global Multisourcing Strategy: The Emergence of a Supplier Portfolio in Services Offshoring", Decision Sciences, 39(3): 541 - 570.